I have been recently brushing through some literature on hospital acquired infections. Needless to say, this is a matter of global concern. I have absolutely no intention of talking about the common organisms involved, but want to highlight certain basics which I believe needs a blog space. There are several definition that you would find on Nosocomial infections. For a reference let us consider the WHO definition. “Health care associated Infection (HCAI)” can be defined as an infection acquired in hospital by a patient who was admitted for a reason other than that infection. An infection occurring in a patient in a hospital or other health care facility in whom the infection was not present or incubating at the time of admission. This includes infections acquired in the hospital but appearing after discharge, and also occupational infections among staff of the facility. Fig 1: Commonly encountered bacterial pathogens in HCAI. If you search literature on HCAI, you had see a lot of papers dealing with bacterial isolates. Irrespective of the place where the data is generated you had see the 5 organisms appearing in the important list- Acinetobacter species, Pseudomonas aeruginosa, MRSA, Enterococcus species and Klebsiella pneumoniae. If I had construct a chart of the common bacterial isolates it had look something like the one shown in Fig 1. Of these Pseudomonas aeruginosa and Acinetobacter baumanii complex, are extra ordinarily regular in showing up in culture plates. If your thinking where did the star pathogen C difficile go, I'm coming to that point of discussion in the later part. My first question is why Acinetobacter, Pseudomonas and MRSA are always the star Trio? The answer lies in their viability and isolation rate. It is wrong to claim that they are the common bacteria seen in the hospital. 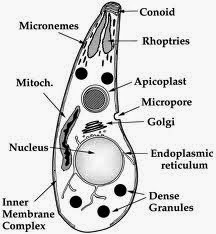 They represent a very fast growing organism in the culture plate and are viable in environment even in extreme conditions. Pseudomonas for example is one of the hardest pathogen that can be thought of. It can survive significant amount of disinfectants that are thrown on in it including phenol to an extent. That's exactly why we use Phenol agar (I used to call it Dettol agar!!! ), for specific isolation. Second, they grow in the least of nutrients and easily isolated in the clinical laboratory. Hence reported. If I had consider viruses, parasites and fungus then there are much less reports available. My understanding is that Candida and Aspergillus species are more common among the fungus. Of them non albicans candida is significant. What causes HCAI? In the pre antiseptic era, the hospital infections where much high in number often being fatal. With introduction of Anti septic techniques this have reduced. But the single most important thing among them is Hand-washing. As more recent papers indicate, there is still less than 40% compliance in health care workers. This is the most important factor even to this day. Solution to the problem exists such as use of Hand-rubs but much less of it is practised than said. A question that I once thought of was "Shouldn't it be that only organisms originating from health care set up be included in hospital acquired infections?". Let me elaborate. If a patient is put on a urinary catheter, and the patient acquires E coli- UTI, should it be called Hospital acquired. The organism came from the patient himself. The answer is still "Yes". It doesn't matter where did the organism actually come from. The essence is "If its a product of medical intervention?". Despite a century old history of Nosocomial infections, there is a little data on the dynamic of these infections. The first step to study the actual dynamics of such a complicated system involving multiple variables is to know what the hospital actually harbours. This requires an extensive analysis. A simple petri dish culture involves only a few organisms. Modern third generation sequencers have enabled us to look into much more depth. In other words, "Hospital Microbiome" is the data we are now looking for. There currently is a project going on (Link), with some preliminary data. There has been some studies trying to get the hospital system more resistant to harbouring pathogens. One of the most well known approach include use of bacteriophage solutions that maybe sprayed on surfaces. The approach though fascinating, is not a long time viable approach. More recently the concept of use of copper surfaces in the hospital has shown promise. In short, hospital acquired infections represent a standard problem of modern day health care system. The problem is currently addressed by frequent surveillance, constant vigilance of Infection control committee and safe medical practices. However, it is also true that hospital is a microbial heaven. Talking about tuberculosis, its a hard pathogen to beat. The tough part of the problem is that it is a very sluggish bacteria. It is indeed very difficult for antibiotic drugs to be designed. But scientists have come out with breakthroughs. There is a great deal of effort in improving the vaccines, exploring new drugs (See my previous posts here and here). But probably there is another part of the problem. TB, at least in the developing world, is well associated with other parallel infectious conditions especially HIV. That makes a combo drug very attractive candidate to work on. A trio drug combination referred as PaMZ is making some headlines. The short form stands for 3 drugs PA-824, moxifloxacin and pyrazinamide. Moxifloxacin is a well known drug candidate to treat MDR TB. It is a fourth-generation synthetic fluoroquinolone antibacterial agent, which kills by inhibiting DNA gyrase. Pyrazinmaide is a known drug used in first line treatment of TB. Out of the 3, the 2 drugs are well known with their function and capabilities. During the preparation of bicyclic nitroimidazofurans, which were investigated as radiosensitizers for use in cancer chemotherapy, Nitroimidazo oxazoles was incidentally, found to possess activity against cultured replicating Mycobacterium tuberculosis. Based on the findings, several derivatives were created. Testing the derivatives showed several compounds with high and specific activity against TB. PA-824 was one of the candidates in the original NAP series. It was not in the competing top list, compared to other derivatives, but proved to be the best when studied using a animal model. The lead compound was CGI-17341, which was not further developed due to its mutagenic activity. Studies, by comparing it with metronidazole showed a promising activity. Metronidazole was used for comparisons because, it was one of the first candidates to have known activity against latent TB, and PA-824 belongs to same superclass of chemical. The complete name of PA-824 is (S)-2-nitro-6-[4-(trifluoromethoxy)benzyloxy]-6,7-dihydro-5H-imidazo[2,1-b][1,3]oxazine, was identified as the lead 4-nitroimidazo-oxazine. The mechanism of action appears to be via release of RNS (reactive nitrogen species). 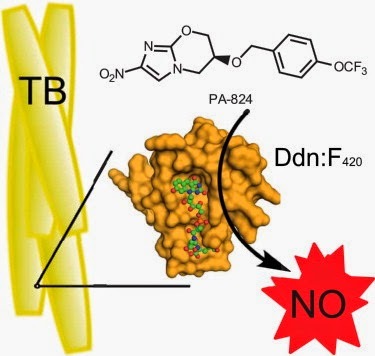 The drug by itself is inactive and activated by a deazaflavin-dependent nitroreductase (Ddn) from Mycobacterium tuberculosis (It catalyzes the reduction of multiple nitroimidazoles through F420-dependent nitroreduction). In 2002 the Global Alliance for TB Drug Development licensed PA-824 and related nitroimidazole compounds for further development. The combination of the 3 drugs which was expected to produce faster action comes from the ability of PA-824 and Pyrazinamide to attack latent cells and the efficacy of Moxifloxacin, which is a well known drug for MDR TB. The drug successfully tested in phase 1 and phase 2 trials, which was recently completed. All the hype is about the drug entering phase 3 with high quality results expected. There are expectations as to some other combinations will also work. Some of them are currently in clinical trials. This includes- JPaZ which stands or bedaquiline (J), PA-824 (Pa) and pyrazinamide (Z), which is soon to enter phase 2b (Link). 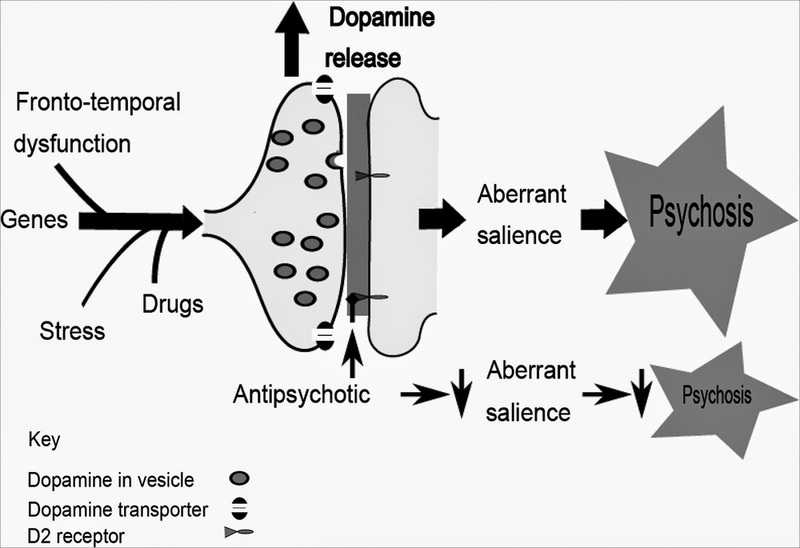 Independently tested drugs such as Clofazimine has shown promising activity and planned to be tested in combinations with other drugs. CGI-17341 as I mentioned, was a lead compound, but had mutagenic activity. Otsuka Pharmaceutical Co. Ltd, overcame the mutagenicity problem by substituting the 2-position of the side chain which led to the compound OPC-67683. The compound is currently in a Phase 2 study.